What is a LipSync Action? LipSync Action is an April Fools Day project of truly globular proportions that is intended to multiply annually until the Facebook universe mutates into a Bozeaux world for one day each year, on April 1st. Who is Bozeaux? 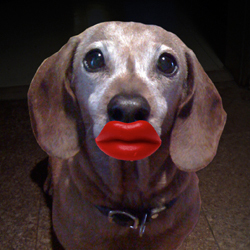 Anyone willing to utilize a pair of red wax lips (or facsimile thereof) in their Facebook profile photo for one day, and encourage others to do the same, is, by definition, an undeniable Bozeaux. In other words, "I am Bozeaux... and so can you!" Nothing else is required. No further obligation, membership, affiliation, advocacy or acknowledgement is expected. No personal information will be gleened, sought, given, sold, traded or bartered. Being a Bozeaux is your own personal business. We respect your privacy. bozeaux (bō-zō) One in possession of creative ebullience, playful adventure, harmless audacity, and a pair of large red wax lips. One who dares to be an undercover artist; an undiscovered actor; a tragic clown; a silly goose; a fool on a hill. To be spontaneous, humorous, seriously un-serious; to appear foolish for serious reasons, or for serious money, but not for foolish reasons; one who performs kind acts of randomness and is always full of great expectations. It takes one to know one. HOW MANY BOZEAUX DOES IT TAKE TO GO VIRAL? HOW MANY BOZEAUX MAKE REVOLUTION? 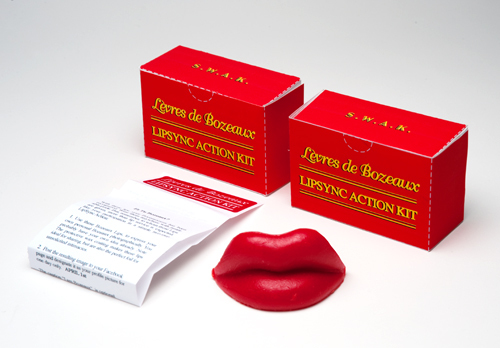 Click on the LipSync Action Kit Gift Box PDF. A handy printable PDF file will automatically download to your computer. Just print from your desktop printer (for best results use heavy-duty paper). To assemble, cut-an- fold as indicated. It's easy as pi. Free suggestion: a touch of glue and a little child labor may be desired. A Printable instruction sheet insert PDF is also downloadable from this site. Just fold and insert with a fresh pair of Lévres de Bozeaux. VOILA! THESE LIPS ARE ALMOST FREE! Bozeaux Lips are cheap, but not quite free, and not readily downloadable. 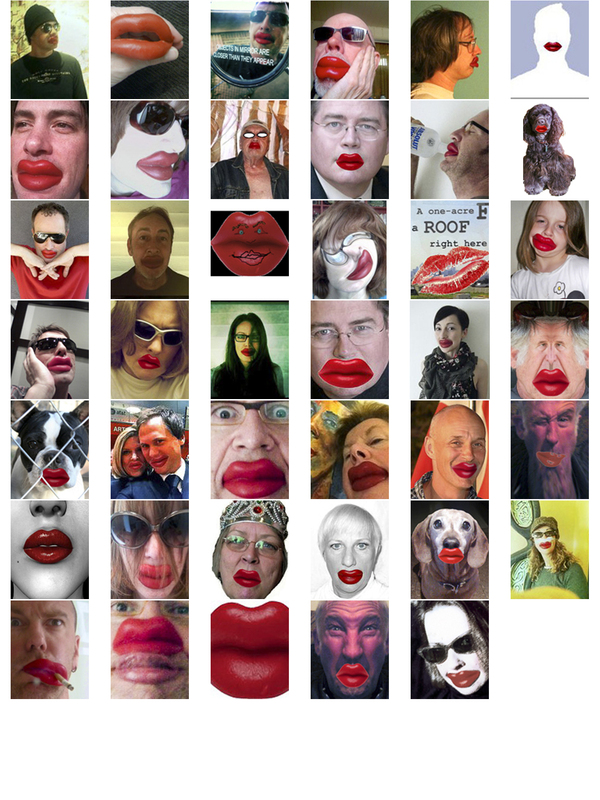 Below are links to several wholesale and/or retail outlets, or google 'red wax lips'. Edith Sitwell is stunning in her Ima Bozeaux guise. ROLLOVER FOR YOUR FREE SMACK! This website is dedicated to all Bozeaux of this world. Remain foolish and thrive.